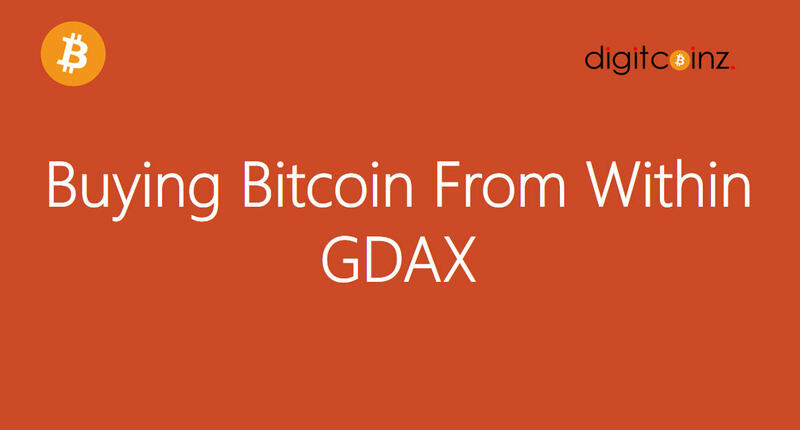 In this lesson, I will teach you how to buy Bitcoin from within GDAX. In Lesson 9, you learned how to buy Bitcoin with Coinbase. Currently, Coinbase is assessing high transfer fees. GDAX is a better option to using Coinbase to buy Bitcoin because there will be no fee. You already know that GDAX better than Coinbase to transfer Bitcoin to any one of the other “crypto” Exchanges.